For many people, dental sedation has been a dental lifesaver. It can make you feel more comfortable at your dentist’s office and help you get through complicated procedures in what feels like minutes. Here are a few signs that you could benefit from dental sedation. 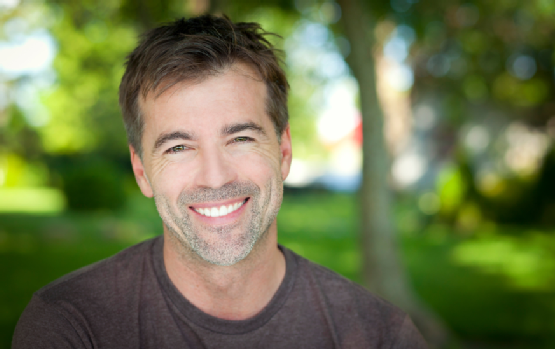 If you avoid the dentist because of dental anxiety, sedation dentistry can change your life. Using completely safe and effective sedatives, your dentist can make you completely comfortable for the duration of your visit . Levels of sedation include mild, moderate, and deep; your dentist will work with you to establish the ideal level of sedation in which you feel comfortable and worriless. Sedatives may be administered intravenously, orally, or through inhalation, so you do not have to worry if you are anxious when it comes to needles. Complicated procedures often require more than one visit or one rather long and sometimes stressful visit. With dental sedation, however, you can undergo treatment for hours with little to no concept of the passing of time. Not only will this keep you from getting irritable and antsy, but you will also not be concerned with the dental work being done. Many people do not see their dentists as often as they would like due to time conflicts or other obligations. These individuals would benefit from dental sedation because not only can they undergo extensive work, but also multiple treatments in one visit. Your dentist can address separate problems while you are sedated so that you can keep your smile in shape despite your busy life. Whether you are being sedated or not, however, it is important to see your dentist often enough so he or she can make adjustments with these procedures. For more signs that you might benefit from dental sedation, contact the dentists at Park 56 Dental or visit our website. 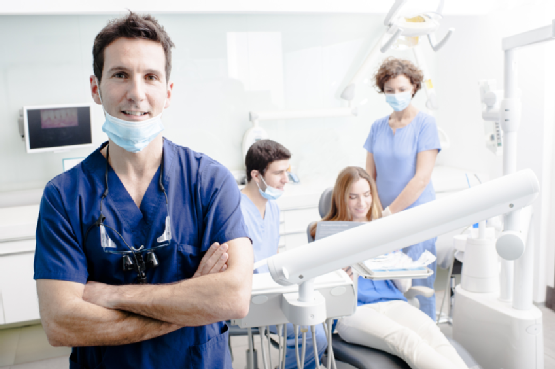 In addition to sedation dentistry, we are proud to serve New York City with emergency and cosmetic dentistry treatments including fillings and Invisalign. You can find out more about our services by calling us at (212) 826-2322 or stopping by to see us. If you experience dental anxiety, you will be happy to learn that Park 56 Dental is dedicated to customer service and comfort. Our team is staffed with caring and gentle professionals who are cognizant of your needs. Read on to find out what to expect at your first visit to Park 56 Dental. Your first visit will primarily involve introductions, cleanings, and basic screenings. We will have you fill out a patient information form to bring with you to your first visit; this will help us learn about your dental history as well as your overall medical history. In addition to discussing these forms, we will take digital records of your mouth so that we can gain a holistic view of the positioning of your teeth and gums. We will also clean your teeth and check for tooth decay, cavities, or gingivitis. To set up your first visit with Park 56 Dental, give us a call at (212) 826-2322. We are happy to be New York City’s home for all things dentistry. If you would like to find out more information about our services, please feel free to visit our website or stop by and meet us. Straighter teeth can provide an array of benefits, and you no longer have to use traditional braces to achieve them. If you are an adult who has put off teeth alignment because you were intimidated by braces, talk to your dentist about Invisalign. Keep reading to explore Invisalign for adults. No matter what age you are, Invisalign can provide various health benefits . The main purpose of Invisalign is to correct the alignment of your teeth, which can greatly bolster your oral health. Crooked or misaligned teeth can irritate your gums and cause swelling and redness that may eventually lead to periodontal disease. Teeth with wide gaps can cause these same issues. Invisalign seeks to position your teeth in an optimal way so that they fit comfortably into your gums and do not cause complications. Invisalign is among the most convenient and noninvasive dental treatments. Instead of wires and brackets that accompany traditional braces, Invisalign uses removable aligner trays. This means that you do not have to avoid certain foods for fear of getting debris stuck in your teeth. You can also take care of your teeth easily, just like you would without treatment. When you are able to practice proper oral hygiene with ease, you are better able to combat conditions like gum disease and tooth decay. It is recommended that you wear your aligners for 20 to 22 hours per day, but other than that they are always removable. Invisalign is a discreet treatment that allows you to realign your teeth without the use of bulky metal brackets and wires. Aligners are comfortable and virtually invisible, so they will not impact your appearance in the professional world. People will not notice the aligners themselves, but they will notice the progress of your smile. Does Invisalign sound like the perfect treatment for you? Call Park 56 Dental at (212) 826-2322 to learn more about this wonderful treatment. We are a New York City dentistry practice that provides a variety of cosmetic and emergency dentistry services. If you would like to know more about our practice, feel free to visit our website .